If you aren’t happy with that—and I’m certainly not—head back to the Keyboard settings window. 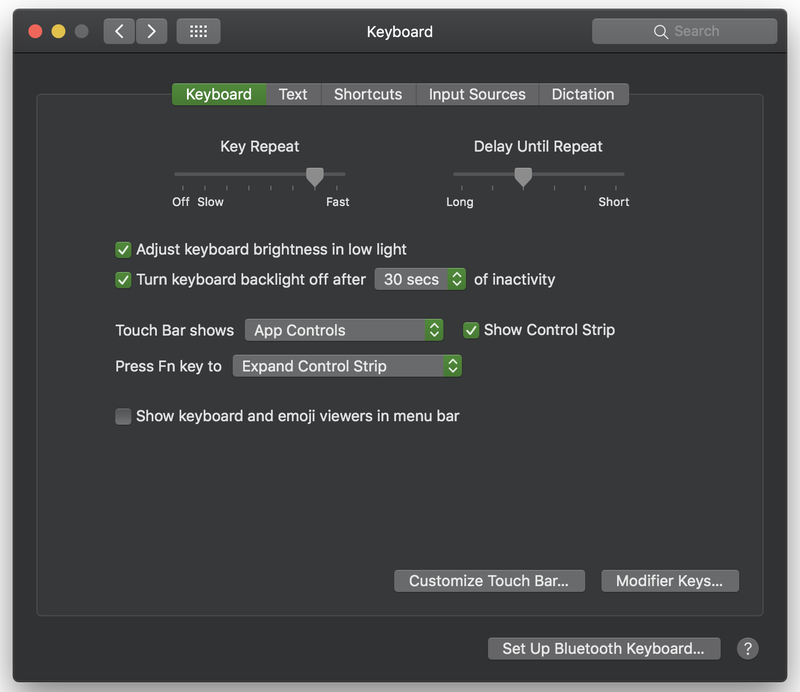 In there, look for the “Press Fn key to...” option, and set that to “Expand Control Strip” for an easier way to show even more button shortcuts. 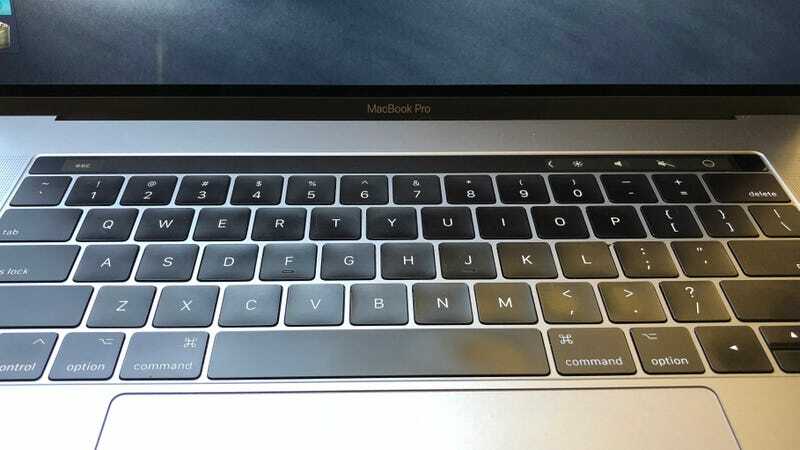 You can also set the Touch Bar to show the Expanded Control Strip by default (via the “Touch Bar shows...” menu), but the option is a double-edged sword: It’ll be easier to use your various system controls, but you’ll lose out on the specialized app controls that pop in and out as you switch through various programs.